The Iowa Blue was developed in the early 1900's near Decorah, Iowa. A folk legend tells the story of a white Plymouth Rock hen emerging from under a building with a clutch of chicks colored solid chestnut to striped. Old-timers tell the tale that the chicks were sired by a pheasant. The breed was carried by several Iowa hatcheries through the 1960s, but was nearly lost when the hatcheries went out of business. The breed was rescued from near extinction and has been bred and preserved through the efforts of a few breeders since the late 1980s. The Iowa Blue grew in popularity in 2011 with a group of dedicated breeders working to preserve and return the breed to its original type and purpose. 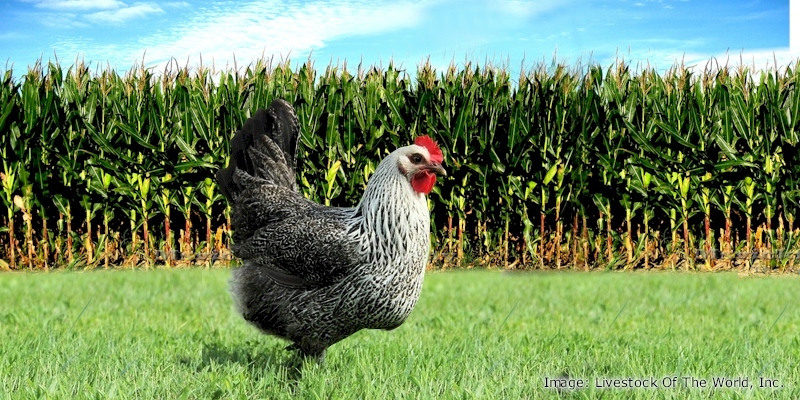 With its plucky attitude and proud carriage, the Iowa Blue is a dual-purpose homesteader chicken, known to be an excellent forager. Hens will go broody, exhibiting good maternal characteristics. Males are noted to be excellent flock guardians and are talented hawk fighters. They are vigorous breeders and are early to mature. Though very aware of their surroundings in a free-range situation, the breed is fairly docile and not particularly flighty.